NEW ALBANY, Ind. — Indiana University Southeast was honored for its diversity and inclusion efforts at One Southern Indiana’s 29th ONE Awards program. The Brown-Forman Corporation Diversity Champion of the Year Award was presented to IU Southeast during One Southern Indiana’s (1si) ceremony on Thursday, April 6. The award recognizes “a company that has made significant contributions to the advancement of the community through diversity initiatives and inclusion efforts creating a diverse and inclusive workforce and/or supplier base,” according to 1si. A strong commitment to diversity including a Council on Diversity which reports to the Chancellor and provides guidance and director to overall diversity efforts; a Coordinator of Academic Diversity; a coordinator for diversity in student affairs; and an Office of Equity and Diversity that reports directly to the Chancellor. A requirement of all IU Southeast students to take one course from a list of approved courses on the subject of diversity. 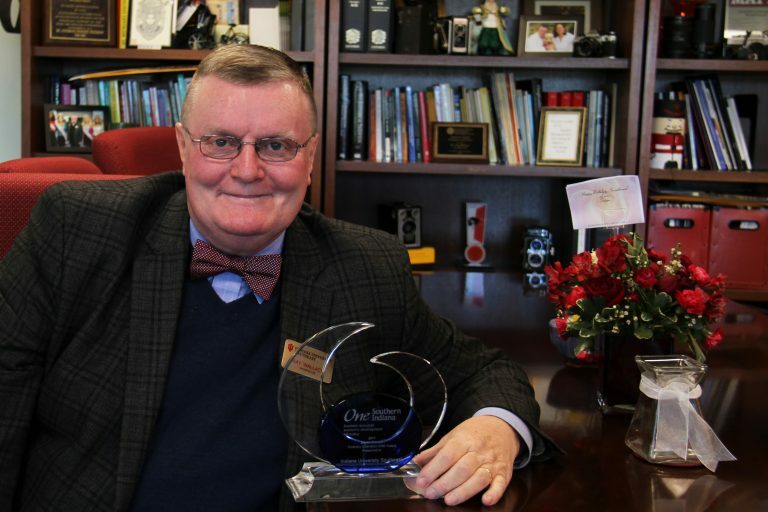 The Chancellor’s Diversity Award, given annually to one faculty or staff member to recognize exceptional performance in promoting and enhancing diversity efforts on campus. One Southern Indiana (1si) is the chamber of commerce and economic development organization for Clark and Floyd counties. Finalists were chosen by an independent panel of judges and selected based on criteria of business history, community involvement, response to adversity, newly-created opportunities and innovation in products or services.